You know when you read articles on how to use your credit card they tell you to make sure that you keep track of your spending? And then they’ll tell you about how once you reach the rewards cap on one card, you should switch to another one. The other thing all articles stress is how you should use the right credit card for the right type of spends. This means, a grocery card for grocery purchases and a travel card for your travel expenses. Well, they are right. But when it comes to using the right card for different types of expenses, it is easier said than done. Because if you think about it, there are over 100 options in Singapore. Deciding the right card for the right types of purchases and making sure that each one complements the other is no easy feat! So, if you had to choose, let’s say, three credit cards (from 100 available options) to maximise the rewards you earn, there are 161,700 different combinations! And, as much as trial and error would be a great way of figuring out which credit card combinations work best, it isn’t the most practical. You read this article, of course! Because after analysing almost all the cards available in Singapore, we’ve come up with a few combinations that work the best to maximise your rewards. The OCBC 365 is a great card to save on your daily expenses. You earn 3% cashback on your grocery spends – online, offline, locally, or overseas. You also get cashback on transport payments, utility bill payments, and great savings on petrol. We all look forward to indulging our taste buds and letting our hair down from time to time (or often!). And while this may be expensive at times, you don’t have to worry if you have the HSBC Revolution Credit Card with you. It gives you 5x Rewards points on transactions made online – even your insurance premiums and any kind of online bookings – which is great. But what’s better is that you get 5x Rewards points at clubs, pubs, bars, and family KTVs. Additionally, you are also rewarded at cafes, restaurants, and fast food outlets! Looking for exciting travel benefits along with great rewards? You get that with the Citi PremierMiles Visa Card. Not only do you earn up to 2.4 Citi Miles on local and overseas spends, but you also can earn bonus miles of up to 7 Citi Miles per S$1 when you use this card to make travel bookings on Agoda. Moreover, there is no cap on the miles earned or an expiry date. This means you can accumulate your rewards and redeem them for a flight ticket when you are well and ready to travel! So, this is the card you should be using for categories that aren’t rewarded by the OCBC 365 or the HSBC Revolution. You will be hard pressed to find credit cards that don’t have any overlaps at all when it comes to the spending categories they reward. For instance, both the OCBC 365 Card and the Citi PremierMiles Visa Card reward online travel bookings. While there isn’t a definitive answer and it does depend on who is using the card, the general rule of thumb is to use a travel credit card for travel spends. The idea behind this is that a travel card is not only likely to reward your travel spends much more, but your rewards will also help further your travel dreams. If you plan on taking a holiday, use the Citi PremierMiles Visa Card. If, however, you are looking for cashback to offset your bill, OCBC’s 365 Card is the way to go. It’s slightly trickier when it comes to dining, though. You get cashback with the OCBC 365 and 5x Rewards with the HSBC Revolution. Since HSBC only rewards local dining spends, your go-to card for overseas dining spends should be the OCBC 365. For local dining, once again, there is no definitive answer, but keep in mind that rewards points can be exchanged for dining, retail, and lifestyle vouchers. As a result, one night out gives you a whole lot of options with what can be done with your points. If you want to cut down on your statement though, a cashback card is the way to go for local dining transactions. None of these cards offer you extra rewards on offline shopping at department stores, which is why this may not be the best combination for avid in-store shoppers. 8% cash rebate on everyday essentials in both Singapore and Malaysia is what you get with the Maybank Family & Friends Card. This cash rebate is applicable on groceries, transport transactions, and at selected merchants. You do have to spend a minimum of S$1,000 per month. If not, a minimum spend of S$500 each month gives you 5% cash rebate on the same categories. If you own the OCBC Titanium Rewards Card you get 10x OCBC$ each time you shop for clothes, shoes, bags, children’s clothing, electronics and gadgets, and at department stores. If there ever was a card to use for shopping, it’s this one! The best part? There’s no minimum spending requirement! Currently the highest miles-earning card in Singapore, the BOC Elite Miles World Mastercard gives you a whopping 1.5 miles per S$1 spent locally and 3 miles per S$1 spent overseas. 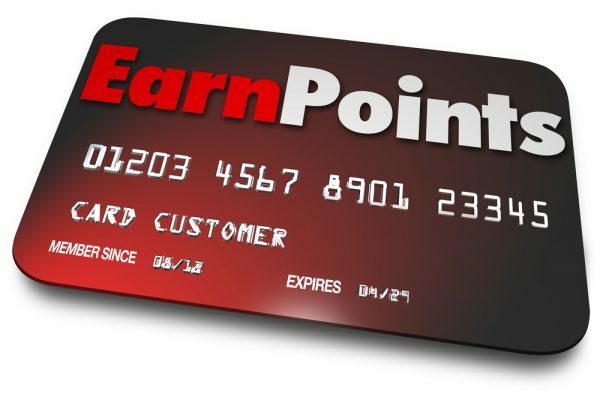 So, if you are looking to earn miles at an accelerated rate, this is the card you should use. Just be sure that you are travelling soon, since the miles you earn expire anywhere between 12 to 24 months. On the surface, it seems like this combination of cards has little to no overlaps when it comes to categories they reward the most. This, however, is far from the truth. Take travel, for instance. Using the BOC Elite Miles World Mastercard allows you to earn miles at a faster rate than any other in Singapore. However, you need 30,000 BOC Points to redeem 10,000 KrisFlyer miles. Compare this to the 25,000 OCBC$ that you need for 10,000 KrisFlyer miles, you already are in a dilemma as to which one to choose. Here’s a recommendation you could consider: If you plan to travel within a year, then using your BOC Card for your transactions will ensure that you earn miles at a rapid pace (points expire anywhere between 12 to 24 months). If, however, you plan to travel later, use your OCBC Titanium Rewards Card and convert your OCBC$ to miles since these points are valid for 2 years. When it comes to shopping and grocery stores, there are clear winners – the OCBC Titanium Rewards and the Maybank Family & Friends respectively. If you love dining out, this may not be the right combination of cards. Unless you are looking for fast food outlets, in which case the Maybank Family & Friends Card would work well. You could redeem your OCBC$ for dining vouchers, but it isn’t the same since you will be restricted by the terms and conditions of the vouchers. So, gourmands, this may not be the right combination for you to maximise your rewards. You may also be missing out on being rewarded for your utility bill payments. Insurance payments, however, can be made with the Elite Miles World Mastercard. The next set is for those who like to shop and travel! With a minimum spend of S$888 you can earn up to 8% cash back on grocery spends, dining expenses, petrol expenses, and on your Grab rides and GrabPay wallet top-ups. It’s no wonder that the Citi Cash Back Card is a favourite with many people. However, do take note that the 8% cash back is capped at S$25 per category per month. If your idea of shopping is scrolling through countless websites until you find something you want, the DBS Woman’s World Mastercard is the one for you. You get 10x DBS Points for your online purchases. In fact, this 10x is applicable on almost all online transactions. You also get 3x DBS points for overseas purchases and 1x DBS Point for local purchases. So, if you don’t find what you want online but have found it offline, worry not. This purchase will also be rewarded. Oh, and there is no minimum spend. However, you can’t earn 10x or 3x points for transactions beyond S$2,000. The UOB PRVI Miles Visa Card has no minimum spend requirement or cap on the miles earned. This makes it a great travel card to have along with the Citi Cash Back Card and the DBS Woman’s World Mastercard. This card doesn’t just reward your local spends (1.4 miles per S$1) and overseas spends (2.4 miles per S$1), but it also gives you the opportunity to earn bonus miles (6 miles per S$1) when you make travel bookings on Expedia, Agoda, and UOB Travel. UOB’s PRVI Miles rewards all your spends, irrespective of category. So, it can be used instead of your cashback card. Like with all other combinations, the card you choose depends on what you are looking for. If you eat out often but also travel often, consider using your PRVI Miles Card so that you earn miles for your spending. If not, use the Citi Cash Back Card and switch to the PRVI Miles once you reach the cashback cap. For online spends, the DBS Woman’s World Mastercard should be your first and last choice. One category missing from this combination of cards is offline shopping and department store spends. At the end of the day, no matter which combination you do use, one thing you should ensure is that there are as few overlaps as possible. Also keep in mind that a good miles card and a high flat cashback card are, in general, good to have in any mix. These are just three of the numerous combinations you can have. Using these as a basis, you could even try your own combination to see what works best for you.